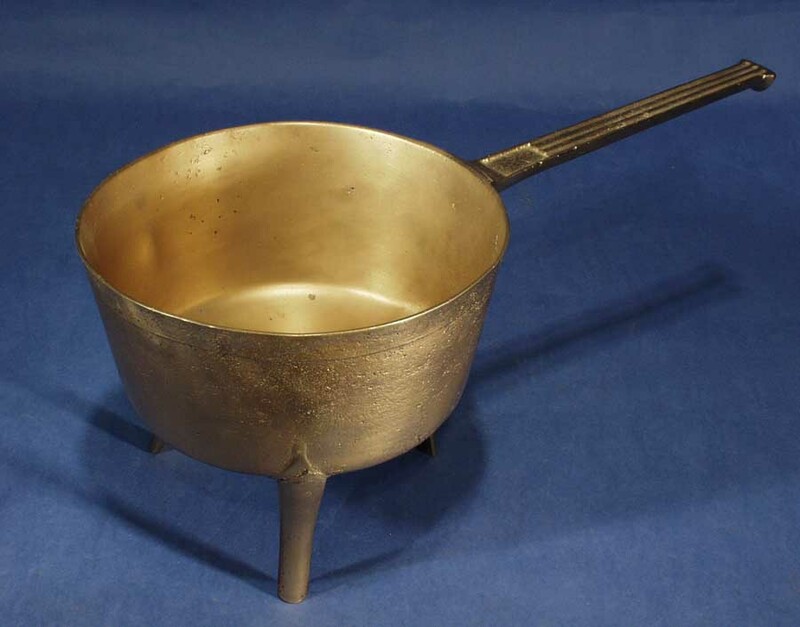 A brass cast footed Cauldron. circa 1750. These items were made in England and Europe and were extremely valuable due to the amount of brass that was used in the period. They were found in the finest homes and used to cook items that would not be agreeable to iron or copper, and many were melted down due to their brass content.